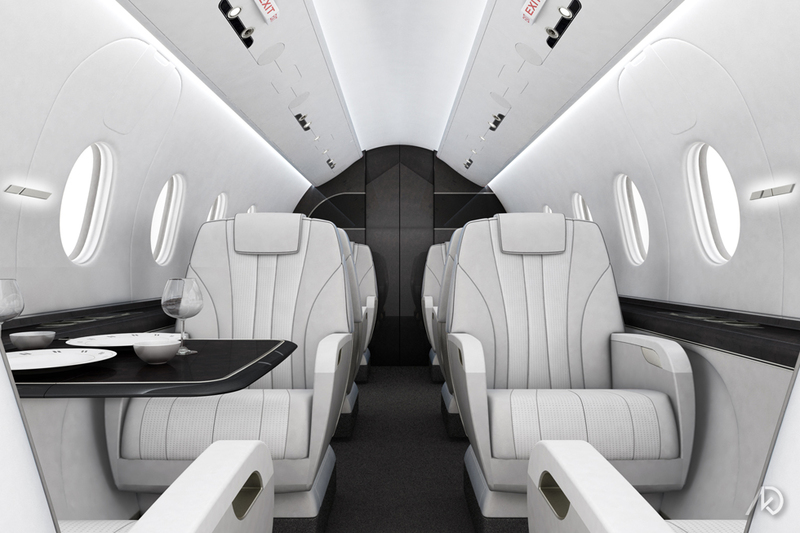 The following 3d illustrations show designs that were used in a pitch to re-design the interior of the Hawker 4000; a super-midsize business jet developed by Hawker Beechcraft. The design could not affect the underline structure of the jet, therefore most design suggestions were somewhat cosmetic. My responsibility was to design all elements of the interior architecture within the main cabin. My design focus was placed on the side ledge panel display and the overhead valence; which houses the air gasper, lights, speaker, etc. The team produced multiple options for the client. Most of the design options included a material pallet of a light grey micro-suede, carbon fiber, and rich burl wood. All items in the following scenes (except for the seats) were modeled, textured, and lit by kk. 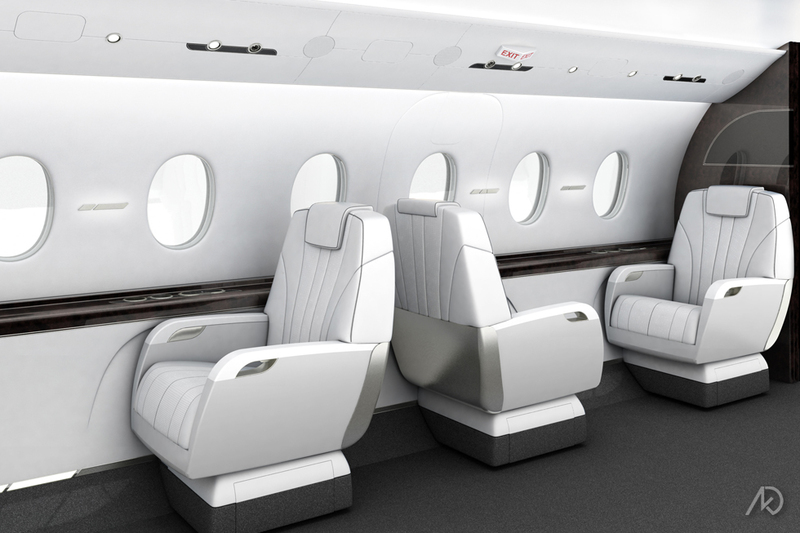 My main responsibility was to generate designs for the interior cabin architecture. Another teammate designed the bathroom and galley. The main components of design include the following: the side panel, side ledge, table, seats, dado panel, and the valence. This view helps to show some of the designed objects in detail. One large design modification is the extra two inches of seat gained by pushing back the dado panel, seen in the lower left corner of the image. The slight curve in the image is a very large design detail. 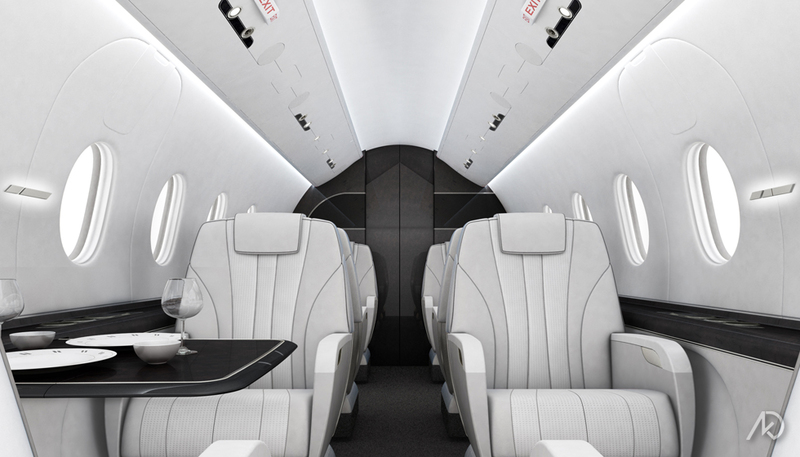 An inch or two inside a jet cabin goes a long way. The side table is stored inside the side ledge and pulled-out when needed. There were a few design options for the table itself, but mostly they were cosmetic changes; the internal mechanics were not to be re-designed. The table itself is constructed of carbon fiber with a burl-wood top and stainless steel accents. 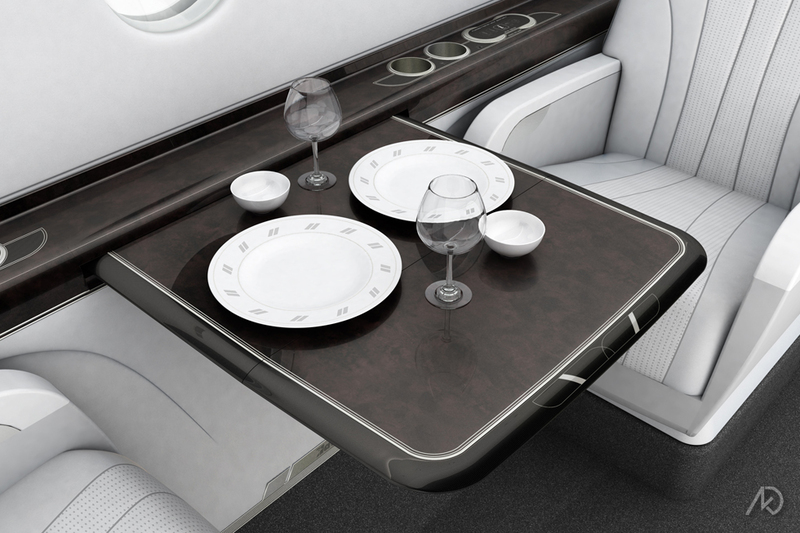 The table is also re-branded with an abstracted Hawker Beechcraft logo. 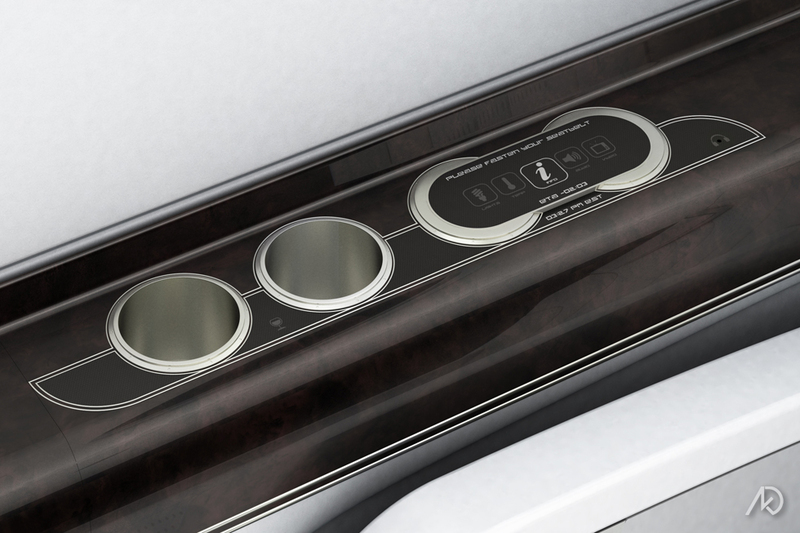 The side ledge stores all the components necessary to personalize the in-flight experience for the passenger. The side ledge needed to house a touch-panel display used to customize items such as: turning on a reading light, setting the temperature controls, viewing flight information, playing music and movies, and more. The side ledge design was a very important (and fun) part of my responsibilities. 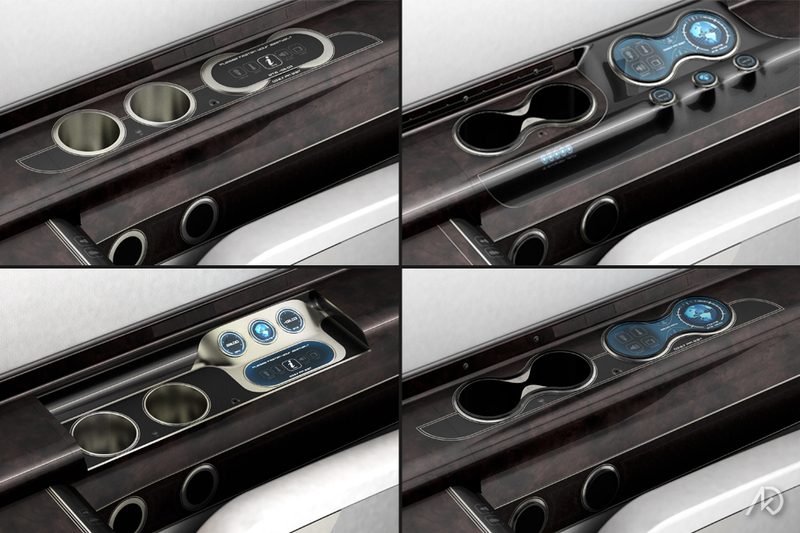 I created many versions (the top four are seen here) of the side ledge control panel, each incorporating the touch-panel display. I basically designed different mounting options and faceplate designs for the touch-panel display. The client wanted to see surface mounted display as well as one concealed under a retractable door.